Just a few years ago we would wash our faces, follow with a moisturiser (most probably Oil of Ulay Lotion) and away we go, these days we are bombarded with adverts for moisturisers, serums and oils that promise to give us all wonderful hydrated and youthful looking skin. 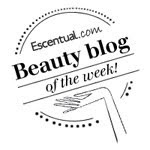 I must admit I use all these products and spend a fair amount of my time applying them morning and evening.. but like everyone else in these ever busy times I am always on the look out for time saving products - the lazy girl's version! 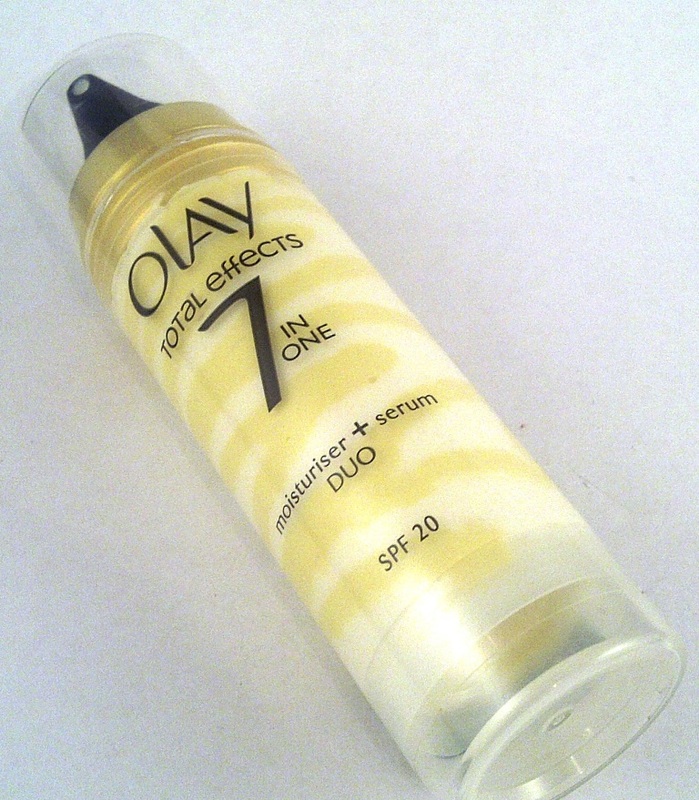 This is our most concentrated daily 7 in 1 product, with SPF20. It combines a proven 7-in-1 anti-ageing moisturiser PLUS an intense serum. It provides the Total Effects maximum anti-ageing power with essential hydration, plus it protects skin with broad spectrum SPF 20 (UVA/UVB) and anti-oxidants to fight the 7 signs of ageing. Micronised mineral pigment adds a soft focus effect finish to immediately blur the look of visible imperfections. This has the same lovely fresh scent of the other Total Effects products, texture wise this is a fairly thick cream once out of the bottle but it is easy to apply and absorbs quickly. One pump dispenses ample to cover my face. 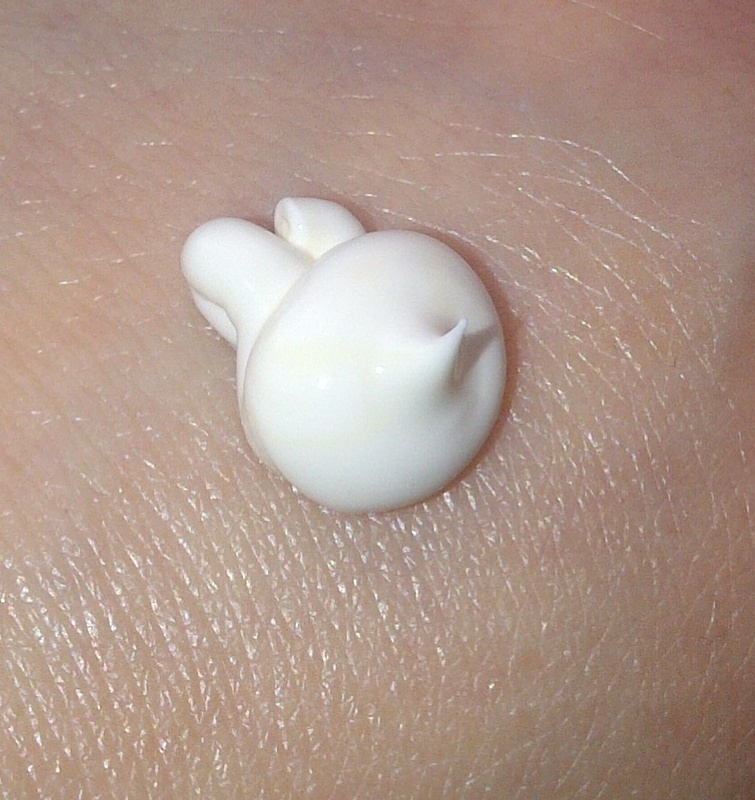 It leaves my skin feeling so soft, velvety and hydrated all day, a great base to apply primer and then my foundation. I have been using this for just over 3 weeks now and have to say I like the way my skin is looking right now . 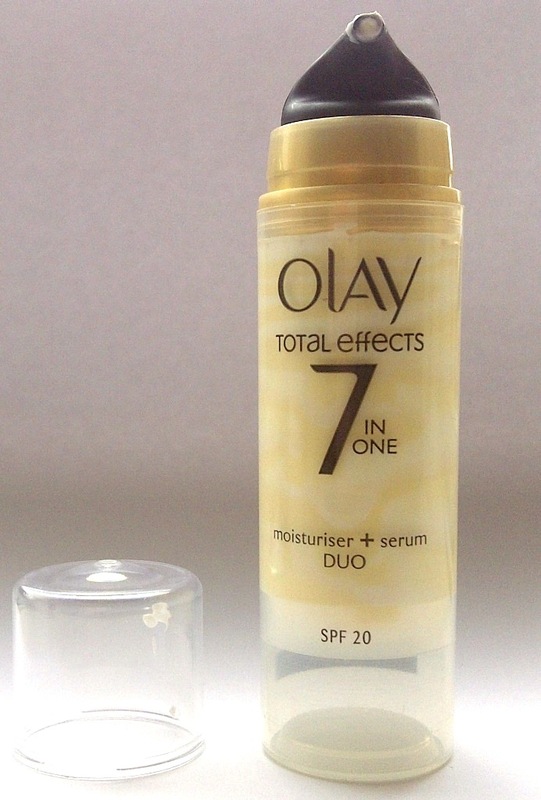 I like using this moisturiser + serum duo and will be finishing the product. On a shallow note I love the swirly look of the serum and moisturiser and the fact that the tube is clear so I can see it as it goes down and know how much I have left..
Moisturiser, serum and high SPF and all in one tube, at a reasonable price point, this is a great product.